« It needs “lot of discipline” to cross the road called life ! 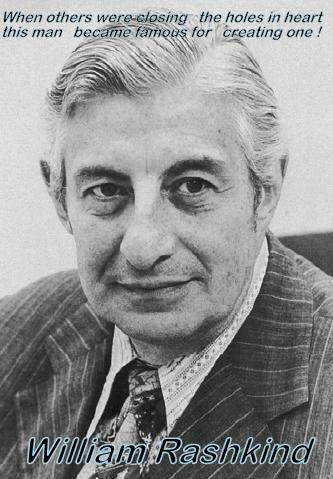 Who is the father of interventional cardiology ? William Rashkind a cardiologist from Children’s hospital, Philadelphia in 1966 probably is the first person who thought it was indeed possible to use a wire and balloon as cardiac therapeutic intervention .When surgeons were groping in dark with sick cyanotic new borns with dTGV , He along with Miller executed their idea. How the Rashkind has revolutionized our approach to congenital heart disease is evident from the current guidelines in 2011. The procedure has since evolved with improving hardware and we are able to ferry a blade into the IAS for cutting . 1. Hypoplastic left heart syndrome with restrictive atrial communication. 5. TAPVC with restrictive atrial communication.